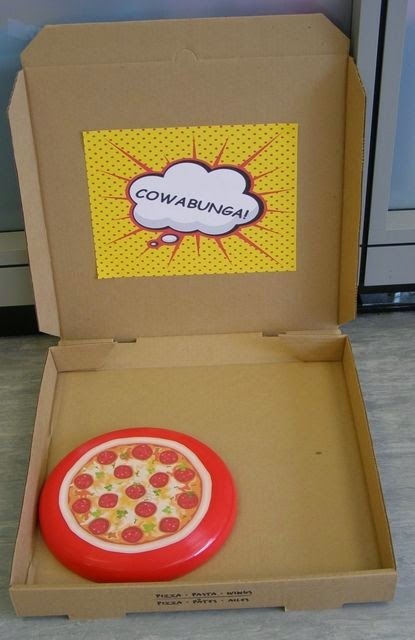 Cowabunga Dude! That's right, it's Ninja Turtle Saturday this week! I personally love the ninja turtles! They are so cool! There is a Ninja Turtle ride at the Mall of America, got to say it was pretty fun! You know what else is pretty fun? 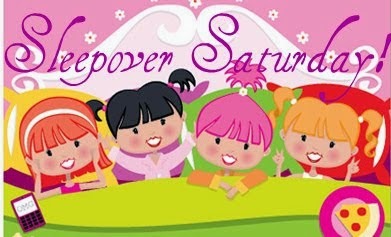 A Ninja Turtle Sleepover! There is such a variety of different TV shows and movies for the Ninja Turtles to choose from, but my personal favorite is the 1990s Movie series. 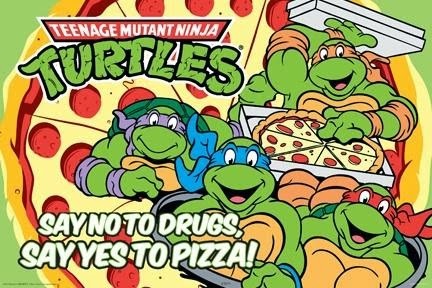 Is it even possible to watch the Teenage Mutant Ninja Turtles without enjoying delicious pizza?! 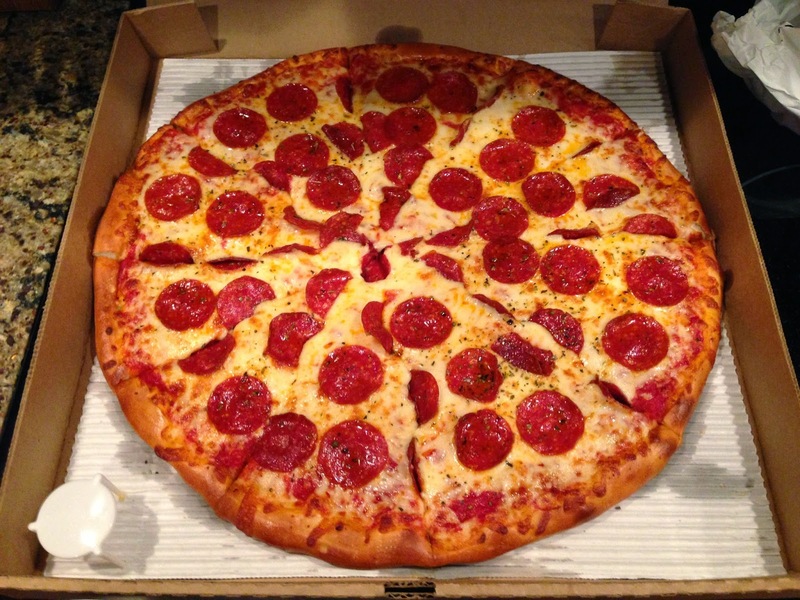 Eating pizza is a pretty quintessential part of any party, and is perfect for a ninja turtle sleepover! Those sugar filled barrel drinks were what I lived for as a kid! 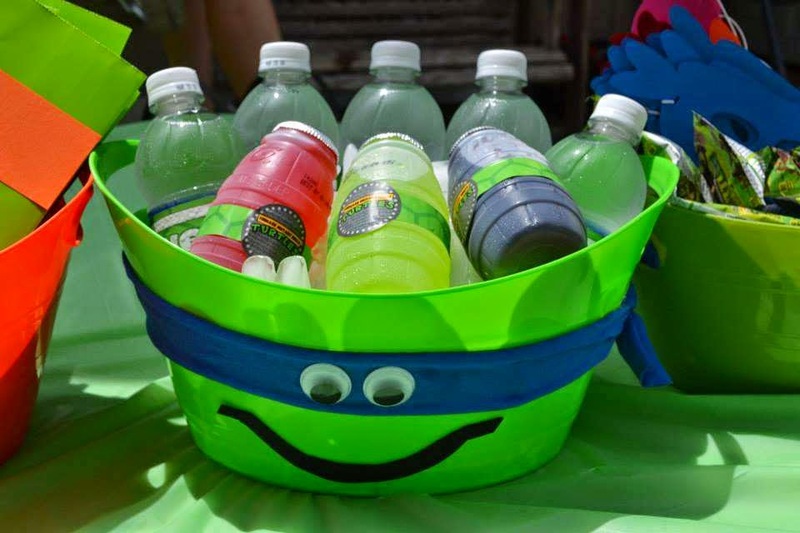 They just so happen to also be a perfect beverage for the turtles! 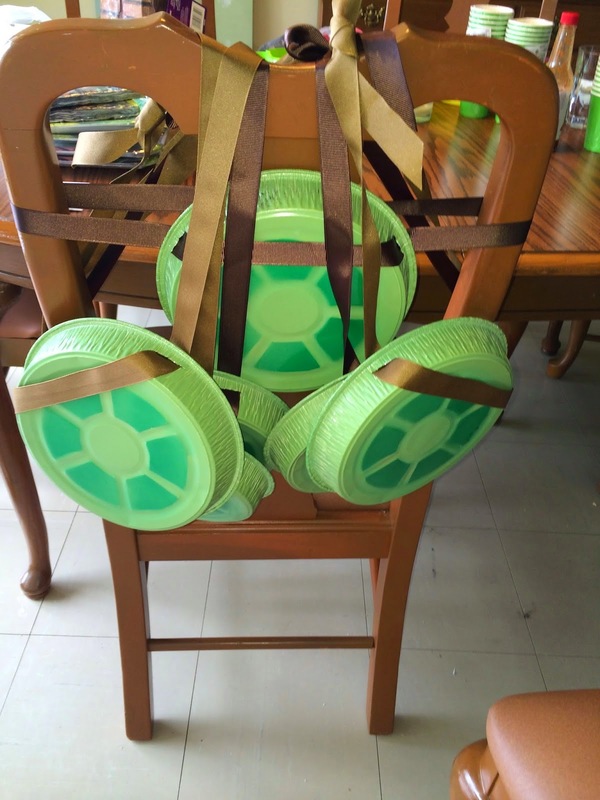 This is the coolest idea to make your own shells, dude! All you need is paint, pie pan, paper and ribbon. Here is a link to a detailed tutorial! Check it out! I've made Lightsabers out of pool noodles, but these nunchucks are super radical! 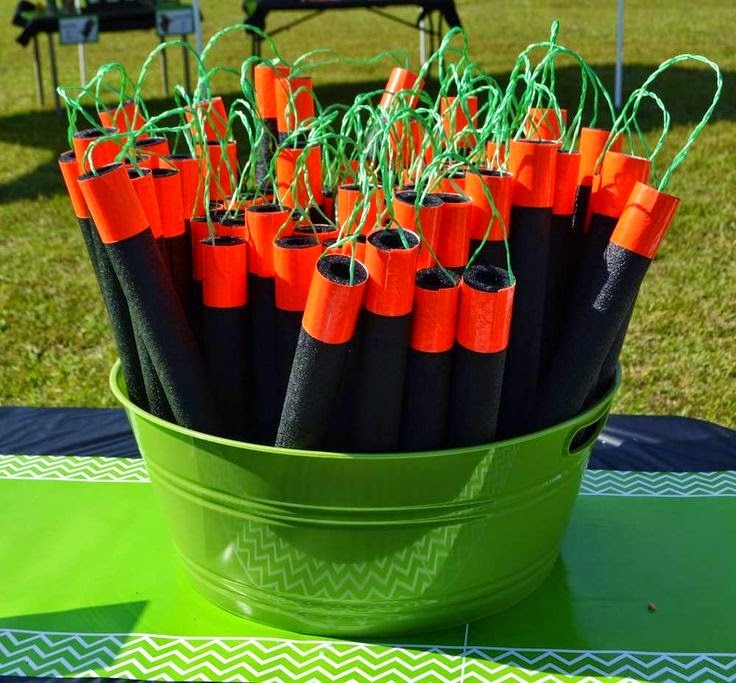 You'll need a black pool noodle, some duck tape, and some string! Who doesn't love playing frisbee? It's fun for all ages. It's even fun in the Snow, and you can totally make your frisbee look like a pizza. It's perfect! Hope you enjoyed this week SS, if so let me know!